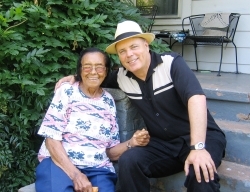 Etta Baker was a close friend for over 35 years. She was truly a great person, warm and caring, yet tough and resilient. 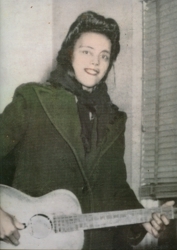 A natural musician she played the beautiful piedmont blues style guitar learned from her father and grandfather. Etta didn’t know the names of the chords but she had a keen musical ear attuned to an older time. There are few people whose style I try to learn note for note but Etta was the exception. Trying to capture that subtle sweetness in her playing will be a lifelong endeavor. Etta was more than a musical inspiration to me. She embodied a deep wisdom that life is what you make it. Through all sorts of hardships she continued to rise above the fray and stay positive and caring. An example of her fortitude is her practicing an hour a day no matter what. Because of that she could still play at 93 years old. Born in 1913 into a family of mixed Afro-American, Native American and Irish ancestry, Etta was raised near Morganton, NC. Her father was proficient on the banjo, the fiddle and the guitar. Her mother sang and played the harmonica and jawharp. Every member of the big family made music, playing traditional mountain tunes as well as songs from the Afro-American heritage. 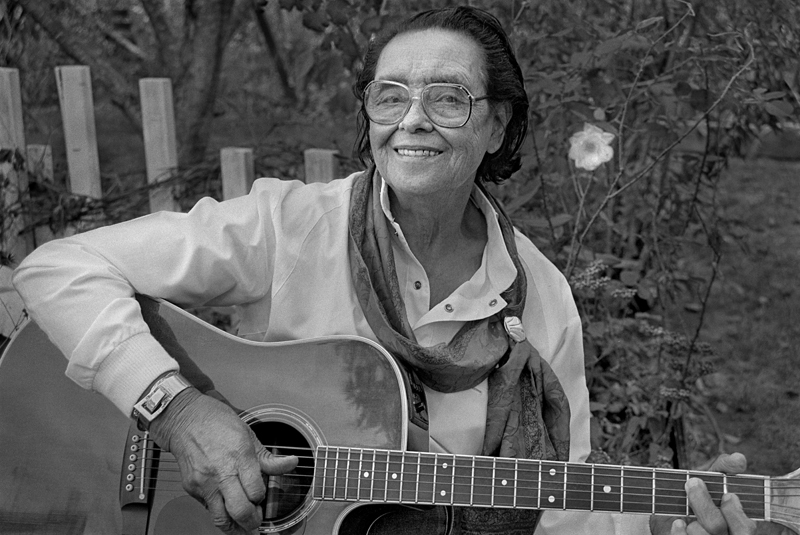 Etta, the last of eight children, began playing the guitar at age of three. Soon she joined with the other family members, playing tunes at house parties, community entertainments and corn shuckings. Etta’s late husband also came out of a musical family. 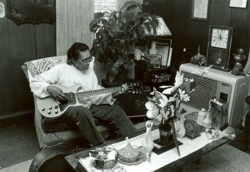 Together they raised nine children, many of whom are carrying on the family musical tradition. North Carolina. She almost always plays without singing, preferring to let her fluent guitar “sing” for her. Her repertoire includes traditional folk-tunes from the hills of Western Carolina as well as ragtime pieces and folk-blues songs. 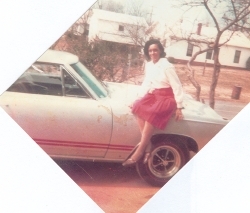 I often tell the story about how Etta liked to drive fast in her muscle car back in the 1960s and promised the Lord she’d never go over 150 miles per hour. You can hear the full story on my Cutting Loose CD (as well as her song Railroad Bill). Some folks think I am making it up…but the story is true. Here is a photo of her and the muscle car to prove it.